The legal hold on President Trump’s so-called travel ban seems unlikely to be lifted anytime soon, based on the tenor of oral arguments before a federal appellate court in Seattle on Monday. The Trump administration’s top courtroom lawyer faced a trio of judges who expressed varying degrees of skepticism about the presidential decree that critics argue violates the Constitution’s religious protections. Acting Solicitor General Jeffrey Wall was repeatedly asked to explain how controversial statements made by Trump and administration officials can allow a reasonable observer to conclude the purpose of the executive order was something other than prejudice against Muslims. "How is a court to know if [the executive order] is a Muslim ban in the guise of national security justification?" Judge Ronald Gould asked. 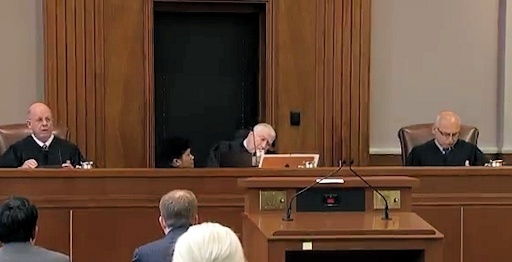 Soon after, Judge Michael Hawkins asked if Trump had ever disavowed controversial campaign rhetoric likening the policy to a ban on Muslims from entering the country. "Has he ever stood up and said, 'I said before I wanted to ban all members of the Islamic faith from entering the United States of America. I was wrong. I've consulted with lawyers. I'm now addressing it simply to security needs.' Has he ever said anything approaching that?" Hawkins asked.